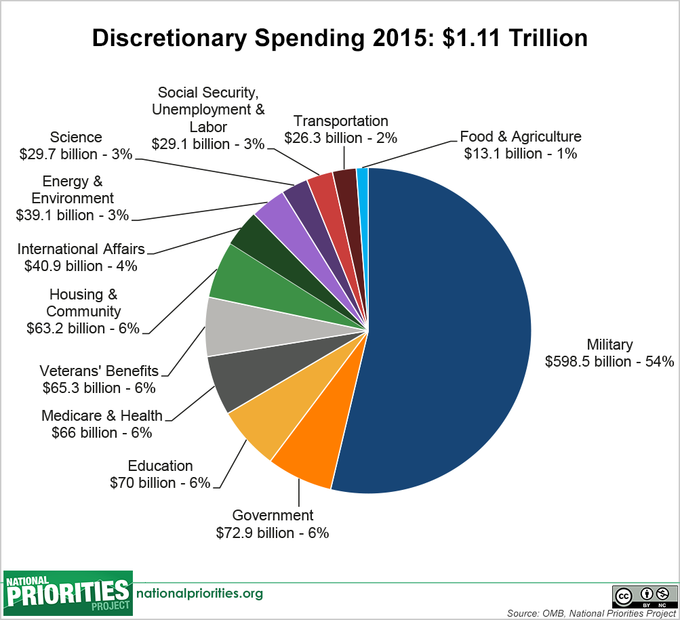 In fiscal year 2015, military spending is projected to account for 54 percent of all federal discretionary spending, a total of $598.5 billion. Military spending includes: all regular activities of the Department of Defense; war spending; nuclear weapons spending; international military assistance; and other Pentagon-related spending. (For the difference between mandatory and discretionary spending, see Federal Budget 101).